TESTED ZMA is a proven blend of Zinc, Magnesium and B6 designed to maintain proper muscle funtion and to help the body metabolize carbohydrated, fats and proteins. 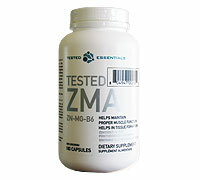 Tested ZMA has also been shown to help maintain immune function, and also helps to maintain healthy skin. 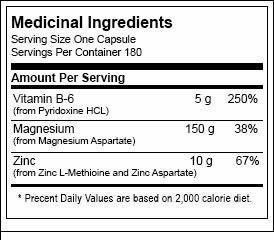 Suggested Use: As a dietary supplement, take 3 capsules with food, preferably your last meal of the day.